It's fall, and that generally means you'll be inundated with hundred of recipes involving apples and pumpkin puree this time of year. But I've got a recipe that's a bit off the beaten path and it's perfect for little hands and fingers...and big ones for that matter. 1. Cover a large baking sheet with aluminum foil or parchment paper. 2. In a saucepan, combine sugars, light corn syrup, and butter, and bring to a boil over medium-high heat. Reduce heat to medium and boil, without stirring, for 4 minutes. Carefully stir in the baking soda, salt, and vanilla extract. 3. Put the popcorn in a large mixing bowl. 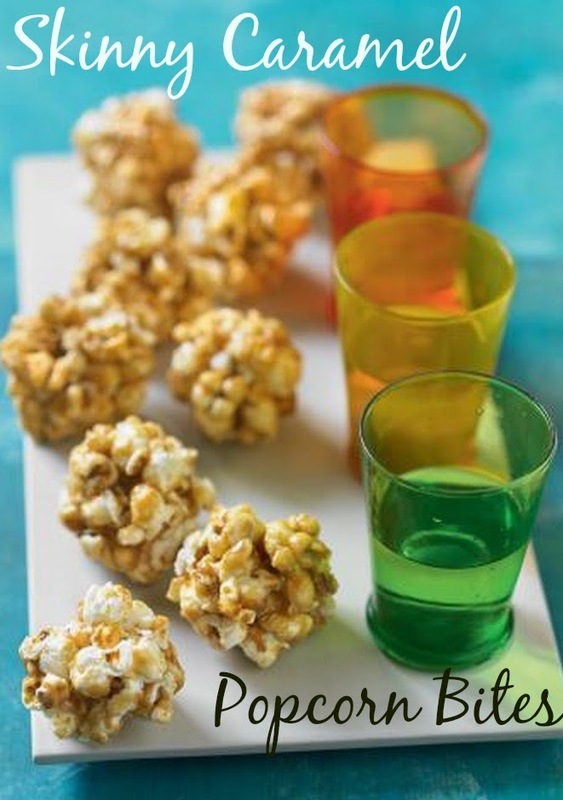 Pour the caramel over the popcorn and stir to evenly coat. Using 2 spoons, form the mixture into 24 balls, about 2 inches in diameter, and place them on the lined baking them. Allow them to cool at room temperature for about 1 hour or until firm. Serve at room temperature. * Original recipe can be found in the book Cupcakes & Cocktails (Bonnie Marcus) by Bonnie Marcus.